For me – and for most Australians – Christmas days are long, hot and lazy. The sweet smell of mangoes, the salty tang of beach air, the heavy haze of humidity. No chestnuts roasting on an open fire, no Jack Frost nipping at my nose. Just humidity, heat, and … did I mention the humidity? So this year, we’re heading up north! We’ve bought snow gear (it looks amazingly uncomfortable), and lined up a house-sitter with a big dog (in case any burglars are reading this and getting ideas) and we’ll soon be on our way! Horray! We’re going on a German White Christmas tour, with Christmas day in the Bavarian Alps. No guarantee it’ll snow, but the chances are good. We’ll be visiting an incredible fairytale castle, as well as some Christmas markets. Then to top it all off, New Years’ Eve in Paris. Weeee!! The trip of a lifetime! Maybe I’ll get some story ideas – or maybe I’ll be too full of pudding and eggnog to worry about it! So, I won’t be posting anything for the next few weeks.Thanks to all my readers for casting an eye over my blog. I’d like to wish you all a Merry Christmas, and a peaceful 2015! What fun and for sure you will return with story ideas. Have a lovely Holiday. Merry Christmas. Thank you, I hope you have a great Christmas too! See you in London!! I’m leaving tomorrow!!! Sounds amazing! I’m approaching my ninth summer Christmas and I still haven’t got used to it. Granted, we usually get rain rather than snow in Wales, but Christmas trees and carols just don’t seem the same when the thirty-degree weather is in Celsius rather than Fahrenheit. Have a great trip! Maybe you’ll find some inspiration for another book. You’ll have to take the family for a Welsh Christmas one year. Rain or not, I’m sure it’d be spectacular! Absolutely fabulous! 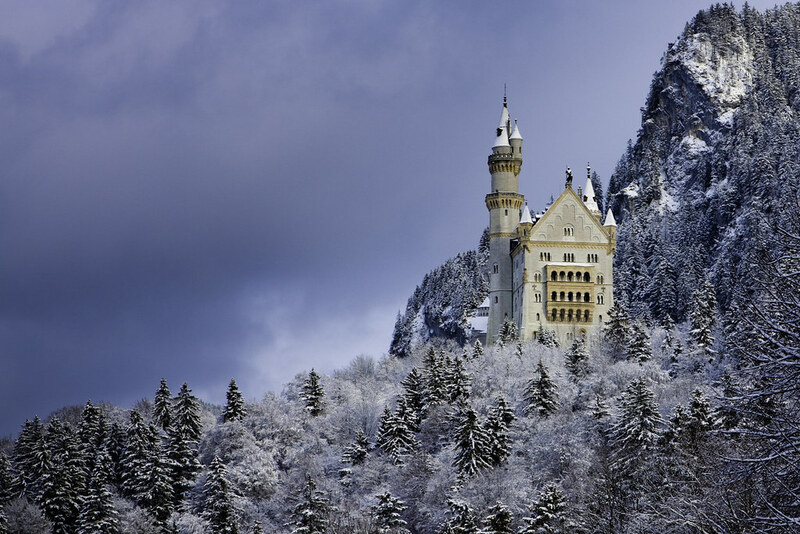 Hope the weather is kind – we took the kids to see Neuschwanstein in January and it was so foggy it had disappeared! Difficult for something so big. Merry Christmas. That was bad luck! Fingers crossed, then. I hope you have a Merry Christmas too! This is so cool, Stella! Isn’t it amazing that for some of us it is the other way around? I had never lived a warm winter until I spent one Christmas in southern California. Still it’s not like Australia. I’m sure you will love the scenic Alps. I smiled when I read about the winter clothes being uncomfortable. They are! You might miss your flip flops and shorts after a while. But the beauty will fill you with lots of memories and you’ll take amazing photos. I wish you and your family a wonderful white Christmas. Thank you, Evelyne, and thank you for being part of my blogging world this year. I hope you have a great Christmas too! I missed the mention of New Year’s Eve in Paris! Oh how I wish to wish you Happy 2015 there! Enjoy my home country where you may see snow too. Florida girl here who also dreams of a white Christmas. Your trip sounds amazing. Have a fabulous time! Thank you! An American Christmas sounds great too, no matter what the temperature!